Quick Workout of the day! Stand with feet together, arms extended overhead. 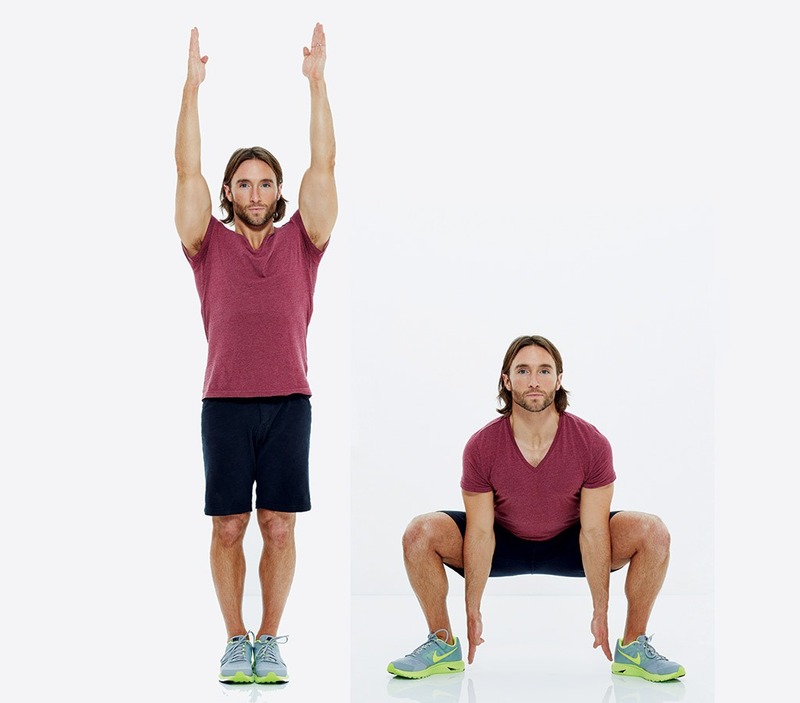 Jump feet shoulder-width apart and squat, touching fingertips to floor between feet. Jump up to return to start position, bringing feet together and pressing arms overhead. Do as many reps as you can for 30 seconds.